Any child who is under 13 years of age will have to be verified and logged in under their parent's account. If you prefer privacy, all you have to do is click on the "Hide Profile from Search results" button, to be hidden from any searches. This is located at the upper left corner of the website. A new page will pop up, giving you two choices of what to do: SIGN IN or REGISTER. First time members without a prior account will want to click on REGISTER. Begin by choosing your birth date, and then click CONTINUE. ** In the future - returning visitors will use the SIGN IN key, using their E-mail and password. Now it's time to register. There will also be a row of boxes for you to check off. Click on all of the boxes that apply - whether you are a fan, racer, team manager, track operator or coach. Once all of the fields are filled in, click on the blue SIGN UP button at the bottom. Upon completion, a verification link will be sent to your e-mail address. Go to your Email and click on that link. When you go to your e-mail box, you will see an E-mail with the header of "Confirm Your Account." In it, will be a link to click on. Clicking on the link in your e-mail will automatically open a new window - the beginning of your profile. This page will be labeled "DASHBOARD." On it, you will have 4 choices of where to go. First - let's connect your new Profile with your Membership. 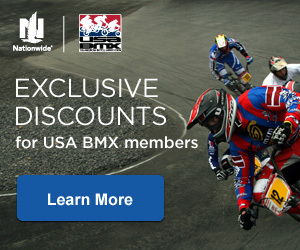 If you are a USA BMX or BMX Canada member, click on the top box: CONNECT YOUR PROFILE TO A RIDER ** If you are a parent, team manager or track operator, you will skip this step. Move on to Step 9. By clicking on the Connect button, a list will appear with your name and information. Click on your name and your Profile will then be tied together with your membership. In just seconds, a rider's previous and current points, ranking and race history will be automatically tied in with their Profile - and the virtual trophy room will quickly be digitally constructed, along with any of your earned number plates. First, you will be asked to verify that you are who you are by typing in your zip code. Once you've entered your correct zip, then click on the blue VERIFY button. Now let's edit your Profile and make it look good. Click on the "Edit Profile" button. We'll start by adding a profile photo. At the very top, you'll see the PHOTO option. Click on the "Choose File" button and find your best looking selfie, that you'd want all of your followers to see. Once selected, you may hit the UPDATE button at the bottom of the page to load it. This page is also where you may reset a new password for yourself, if needed. Jacket or T-shirt award (like for RFL's or NAG). Toward the bottom, you can write yourself a bio - and make it as short, or as long, as you want. We suggest including where you race, how long you've raced, and how much you love BMX. 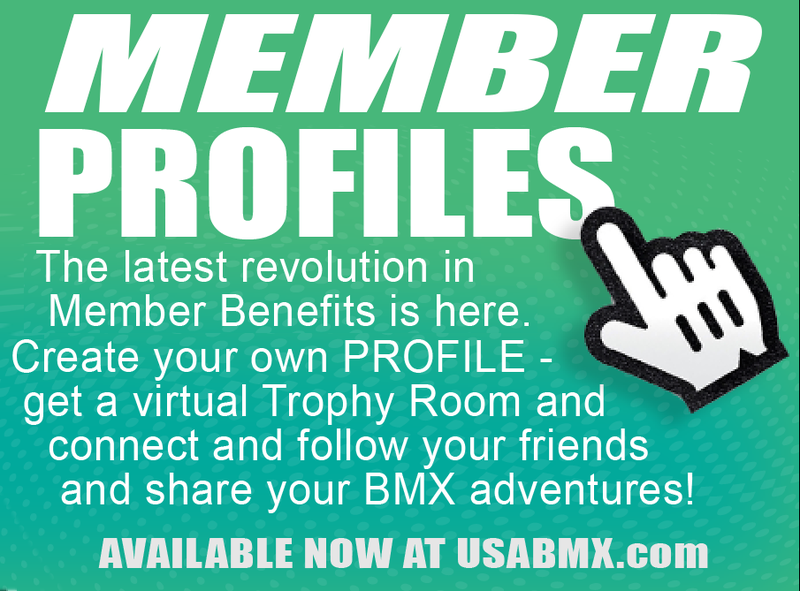 Whether you race or you are just a fan or BMX parent, anybody can have a Profile - whether or not you have a USA BMX or BMX Canada membership. Team manager or team owner? Click the box. If you are a certified USA BMX Coach - click the "Coach" box, and the Membership Dept will verify it. Hit the blue UPDATE button to make all changes. Open the BLOG & MEDIA section of the menu, and click on "Photos." Surely, you'll want to customize your Profile - and one of the best ways to do so is with Photos. At this time, you will only have the ability to load one photo at a time. Click on the "Choose File" link and pick the photo you want. Once chosen, hit the blue ADD PHOTO button at the bottom and your picture(s) will be added to your Gallery. Feel free to add as many photos as you like - new Gallery pages will be added as needed. Each image can easily be Hidden or Deleted by using the links below each shot. When you are in the EDIT PROFILE mode (you can return to this at any time by re-clicking on your E-mail address at the top left corner), you are able to add or alter any of the custom features in BLOG & MEDIA: such as Blog Posts, Photos, Videos and Sponsors. Thanks to BMX Racing, we've all got great stories to tell - so why not blog all about your latest BMX adventures? Start with putting a title to your Post, then type away in the story block. You can do the basics - bold or italicize words. If you have the story already written in a Word doc, just hit the "W" clipboard to upload it. To add live links to your blog - clink on the Link icon and add the website address in the proper pop-up fields. If you're not finished but need to come back to it, hit the blue SAVE button, to save your work. This will not publish your blog on your profile. Once done, click on the blue SAVE & PUBLISH button - to see it posted for all to read. 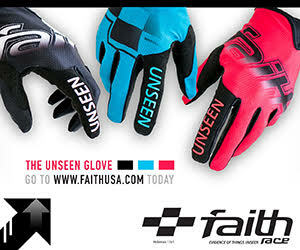 To begin adding sponsors, click on the "Sponsors" link in your BLOG & MEDIA menu. and write a little something about that Sponsor. Once finished, hit the blue CREATE button at the bottom and start giving your sponsor(s) some well-deserved props. When photos can show your speed and style, then maybe it's time to plug in some videos of you in action. 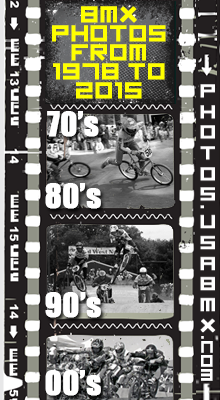 Click on the VIDEOS link in the Blog & Media menu and past in your video link - to show it off to the USA BMX nation. YOUR PROFILE SHOULD NOW BE COMPLETE! How does it look? Click on your Name or Profile Photo and you will be taken to the view that everybody else can see. Below your name will be your classification - as well as other categories (Coach, Team manager, Team Owner, Olympian, etc). To the right of that are your earned number plates - District, Gold Cup, NAG or National. In the black boxes to the right will be a list of your most recent finishes and racing highlights, along with current points - including current District, NAG or National point standings. Want to follow your friends and competition? Now it's easy to find out what they are up to, how many trophies they've won and track how many points they have. You can find a rider's profile by checking out the points and clicking on their name if there's a Profile link available (or type the name of the rider you want to follow in the SEARCH box). To unfollow someone, simply hit the UNFOLLOW button - located to the right of their name. Under RIDER INFO, you can click on the Event Calendar to get a better glimpse of all the races in your vicinity - to plot out when and where you want to go. You can set your search for events by any zip code, and chose a radius of miles to see what's happening 50 to 500 miles from your location. **NOTE: Races listed are inserted by each individual track - and not all races are listed at this time. USA BMX encourages all tracks to participate and set their events on the master calendar. For an in-depth detail of your races that have been input by the Membership dept, click on the RACE HISTORY link, under Rider Info. 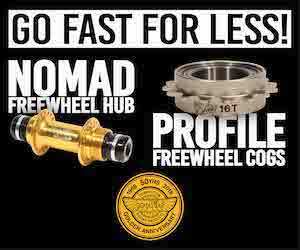 The staff here at USA BMX and BMX Canada thank you, in advance, for setting up your profile, and hope that you enjoy this new bonus feature of your membership!